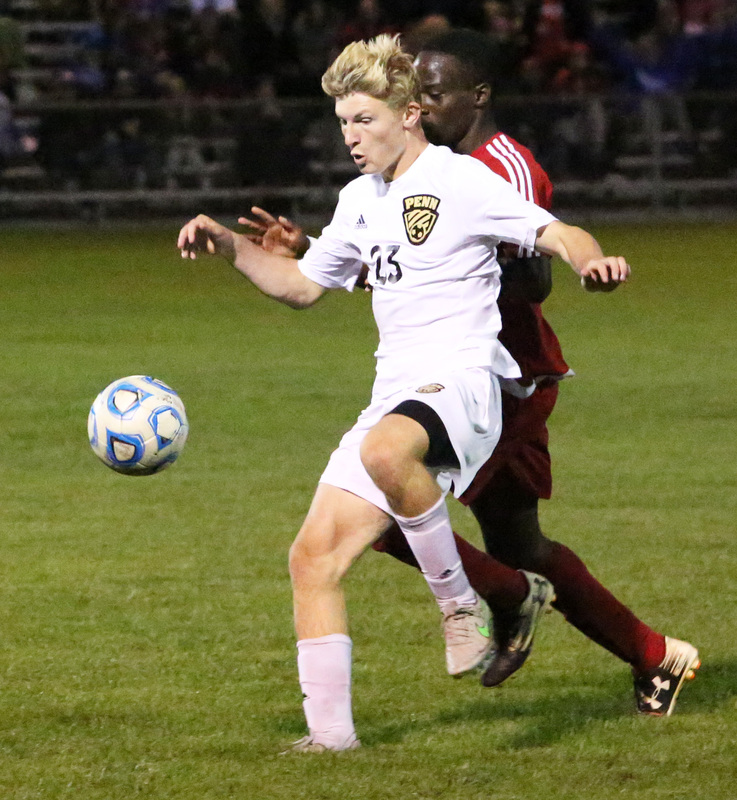 Jeffrey Harper, a 5’10 155 lb forward for Penn High School is a very physical and agileness makes him a vital star to the Penn boys soccer team. Jeffrey started playing soccer in the streets in Japan at a young age of 7. He and his family lived in Japan while his father had a job there. Starting at such a young age allowed Jeffrey to develop his craft and make him comfortable on the ball. Being so comfortable makes him lethal weapon against teams. “His speed and control on the ball allows him to outmaneuver our opponents,” said Collin Mott, a captain on the Penn Soccer team. Harper is also a very competitive person and brings a lot of motivation to the team. “I love to win and love competing at the highest level I can,” Harper said. Harper spreads this motto to his teammates and does not allow them to settle for anything else. It’s a message that Harper spreads to his soccer teammates, and to the Penn Wrestling Team. Being a wrestler and a soccer player may seem hard to some but for Harper, it has only helped improve his craft on the pitch. Being a wrestler makes him stronger and helps him mentally prepare for games and lead his team to success.